British business people are set to fly the skies more than ever before in 2016 as travel buyers predict they will be spending even more on travel next year. 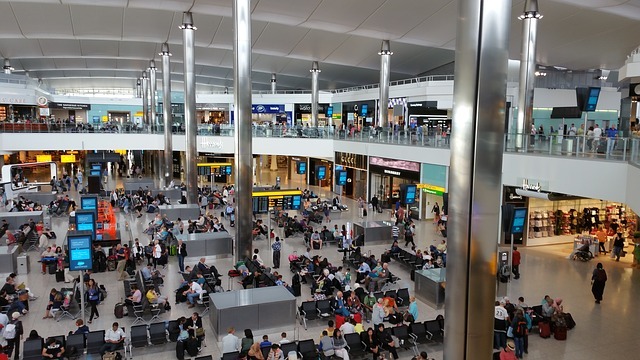 Half of the travel buyers interviewed have predicted their business will be spending even more cash on business travel in the upcoming 12 months – set to further boost in the aviation industry. Recent research from the Institute of Travel and Meetings (ITM) and ATPI Corporate Travel has revealed that travel managers have forecast a “buoyant” year for the business travel industry due to confidence in the industry continuing to soar. In fact a staggering 53% of travel buyers have said they believe their employees will be travelling a great deal more in 2016, when compared to this year. Meanwhile, the survey of 36 senior travel buyers revealed that 80% of respondents believed they were extremely confident when questioned about their fiscal outlook for the coming year. However, despite the research highlighting the business travel spend is set to increase, more than half of those interviewed are looking to reduce their costs in the next 12 months. Adam Knights, APTI Group MD, said this research clearly makes a number of very positive predictions for business travel in the upcoming 12 months. With the economy continuing to thrive in Britain, the value businesses are placing on corporate travel is set to further soar, he added. Mr Knights explained that this shift gives way for a number of changes and opportunities to come into play in the next few years. Are you planning on sending your employees on a business trip in the next 12 months? Don’t forget to book your business travel insurance in advance.